The Carnival evokes all the colour, joy and excitement of a carnival parade which makes it ideal for celebrations and parties. 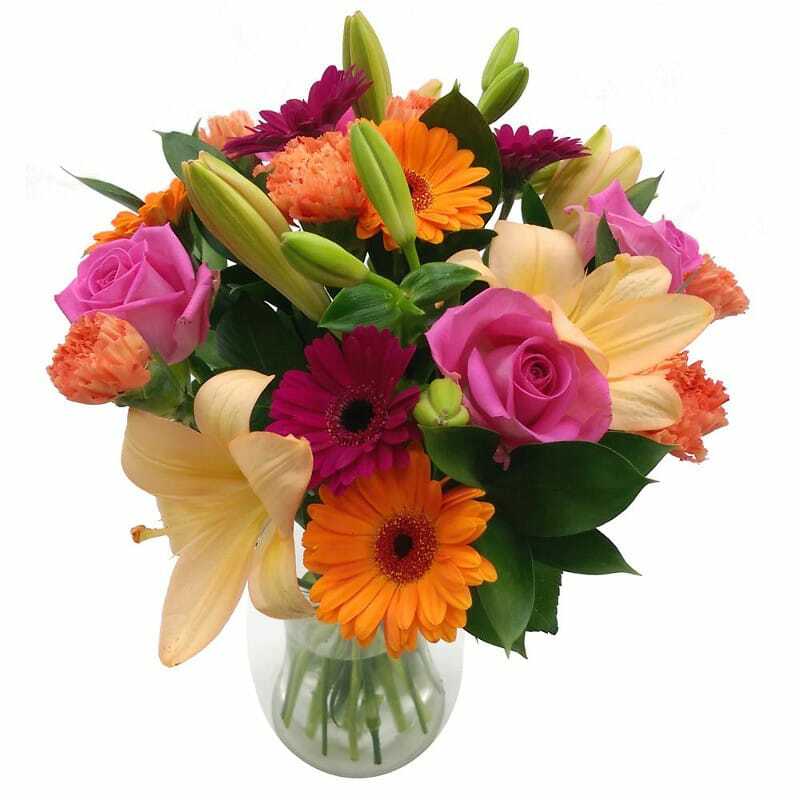 This radiant flower bouquet will brighten up any setting and is the perfect gift to cheer someone up. Our expert florists arrange each Carnival using only the freshest roses, lilies, carnations and gerbera. The result is truly a visual and aromatic feast to make any loved one's day. Your fresh Carnival bouquet can be delivered 7 days a week throughout the UK in our special delivery box to prevent damage while in transit, so they arrive in excellent condition all for just £25.99! Free next working day delivery is included as standard. For that extra special personal touch, why not add a Handwritten Greetings Card, a delicious box of Lily O'Briens Chocolates, a chic glass vase or an adorable teddy to accompany your beautiful fresh hand-tied Carnival bouquet. Our large selection of arrangements containing freesia, roses and an array of different gift sets to suit every occasion.